So then, what’s this all about? Winter miles = summer smiles. Or does it? So then, it’s that time of year again. Having read numerous articles and spoken to everyone and everything that has ridden near me in the past month I’m none the wiser as to how to spend a winter preparing for a season of road racing. I’ve probably bored people to tears with my inane questioning and if that’s not bad enough, I’m probably ignoring most of what I’ve been told! The old school views are clear, big steady miles will give you the base needed to build on early in the new year. I tried riding by heart rate and staying in zone 2 for all of a week and pretty much lost the will to live. I reckon a winter of that would have me back on the Dominos and Xbox diet pretty quickly so that was scrapped sharpish. There is a bit more logic to my thinking than a spectacular lack of willpower, mostly that I simply don’t have the time to commit to the big steady miles. Whilst there is no doubt that it would have been beneficial, I don’t have the time to go old school. The plan is simple, sticking to it less so. The main miles will be at the weekend. The Saturday club run is around 45 miles, a good start, but not quite enough in my mind, so I’ve taken to adding 30 miles on beforehand. That’s a good 4-5 hours on the bike but to get the 30 in means leaving the house at 6:45. On a Saturday morning. Ouch. The roller sessions will be the tried and tested 2 x 20 intervals. Once I’ve got the best out of 2 x 20 I’ll move on to 3 x 15. In theory, it sounds easy, get the heart rate up to the point that you are almost seeing spots and almost gasping like a fish out of water and keep it there for 20 minutes. Simples! Sadly not the case on rollers it seems. I’ve found that without resistance it really takes some concentration to get your heart rate high enough! Not to mention will power, I mean why push to 170 bpm when 165 bpm feels, well, pretty good in comparison! Still, it must be doing good things for my pedaling technique if nothing else. With 2 hours on the rollers that takes my weekly riding up to around 7 hours. Hardly earth shattering I think you will agreed but hopefully a strong base for the reliability trials in the New Year. Even this though is hard to commit to when you are juggling a job that consumes hours like a time trialling Bradley Wiggins consumes oxygen with maintaining some kind of normal social interaction with loved ones, friends and family. I guess the proof will be in the pudding! Although that could be a somewhat Schrodinger-esque statement as I need to stay away from the cake…. Looking at Strava it looks like my fitness peaked in late July/August. 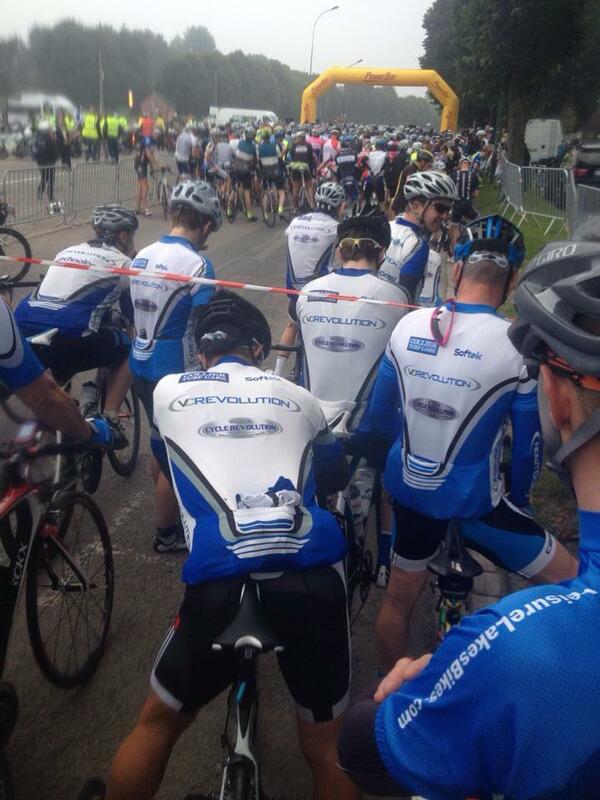 Annoyingly, just after the Trinity Park races finished….. Still, I achieved what I set out to do on this front. 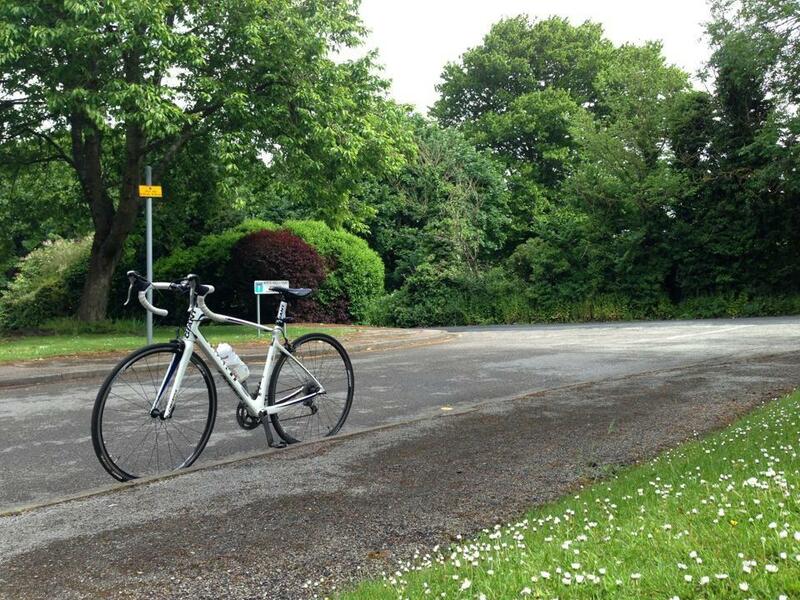 60 in 3 became a regular occurrence riding with the Rovers on Sundays and I brought my solo speed up to over 40 in 2. The big one was the century in five hours. I had two shots at this, one was the Ride London, which thanks to Hurricane Bertha became the Ride London 86. Still, we averaged a smidge under 22 mph over the distance, with only one brief stop, so that was a good start. The other was the Ronde Picarde. This is one of our club’s annual trips and something I had been nervously looking forward to all year. The format is different in France, and I think the continent in general, a sportive over there is mass start and effectively a race in everything but name. This isn’t Joe MAMIL taking on a century as a once in a lifetime bike ride but a collection of very strong club riders, amateur racers, semi pros and even a sprinkling of pros on occasion. The start was frantic, with several crashes to be negotiated. Once everything had settled down I found myself in a group of 20-30 riders with the two Andys (Crowther and Elderfield). We smashed through the first 60 miles averaging what felt a fairly comfortable 22 mph. We stopped briefly to top up our water and I stupidly rested my bike up against a post which moved the rear brake onto the rim. Not noticing, I missed the next group coming through as I sorted it and spent the next 10 miles tearing myself to bits trying to jump back on. Rookie mistake. 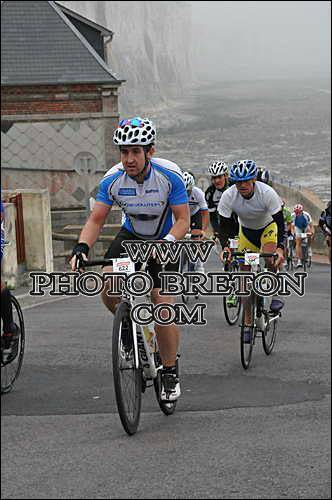 Eventually I was picked up by another group containing Alan and Andy C but my legs were done by this point. Conversation was muted as many were feeling the pace. Miles 70 to 100 seemed like eternity. One more brief stop to top up on e numbers before Andy C dragged me home to the finish picking up a couple of Dutch chaps, a Frenchman and a German chap along the way. I finished the 115 miles with an average of nearly 20.5 mph so I’m calling that mission accomplished! Here’s the Strava for anyone that wants to view my torture. The average heart rate in particular tells a story (163 bpm)! – To enter my first race and still be there at the end. I spent most of the summer chasing this one, from struggling to keep up with the medium group, I made it round a couple of times with the faster group. Ironically this was supposed to be training for Trinity Park but I think actually Trinity Park brought on the speed for later in the summer! Looking at myfitnesspal I’ve lost 2 stone 8 lbs in the course of the year. The photo below says it all really! I’m not sure that any of this will ever be worthy of a blog, but hopefully it’s of interest to some, and if nothing else it gives me a great way to keep track of what I get up to. 2012 saw my interest in bikes revitalised, what can I say, call me a product of the ‘Wiggins effect’. To set the scene I’ve never been particularly fit. I used to mountain bike a fair bit in my early twenties, and play around with trials bikes at the same time but there was never a conscious effort to eat well, lose weight or stay in shape. In 2013 I bought my first road bike, a rather fetching if basic Giant Defy Composite. Over the course of the summer I rode a few sportives, rode overnight to Dunwich (which also happened to be my first century) and joined a club, VC Revolution, later in the year. The miles started to add up and thinking I was fit enough I gave club riding a try. Wow, that was a shock! 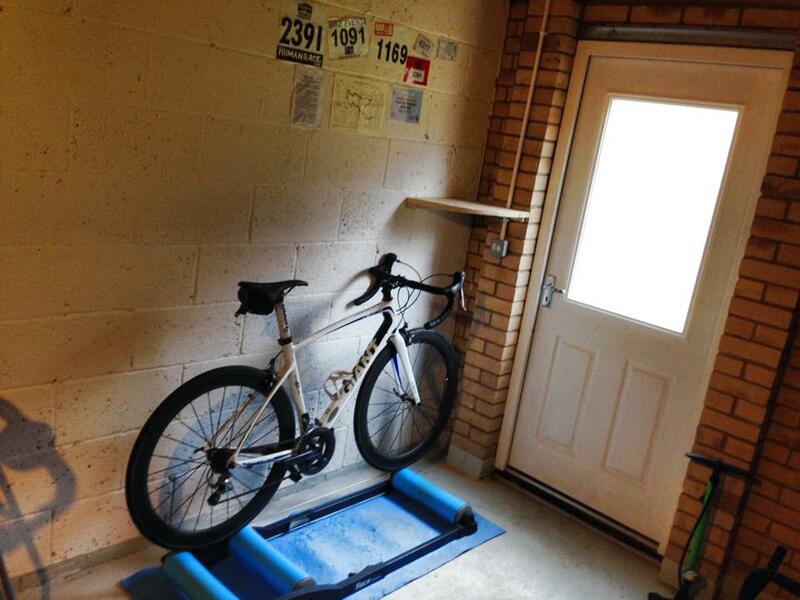 Last winter was spent mostly on the rollers shedding the lbs in preparation for a bigger year in 2014. A few reliability trials early in 2014 were a start to the season (and another eye opener). Despite the horrible weather i’m really looking forward to these kicking off next year. 2014 would be different I decided, onwards and upwards! 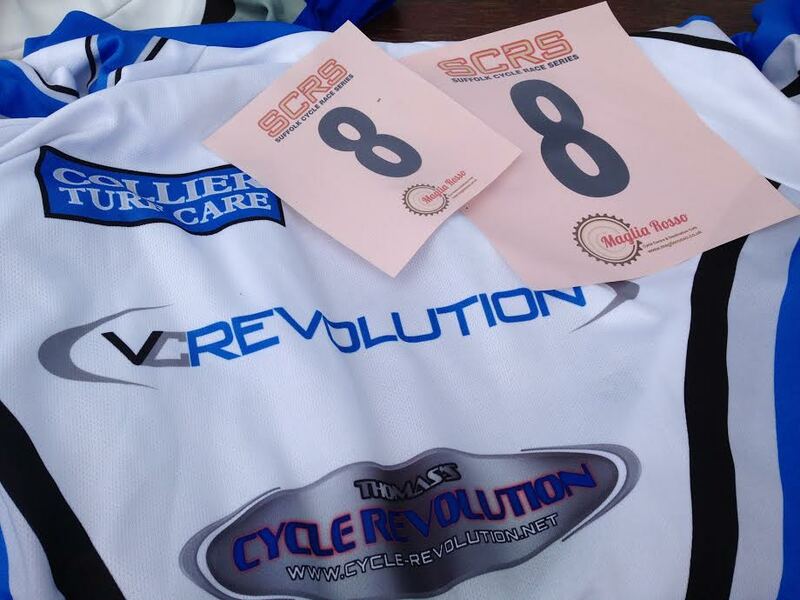 Hillingdon E/1/2/3 – Race season is here!